Home remodeling is a massive undertaking, so you should have some questions about the process. We’ve compiled a list of the questions we hear most often to give you a head start on some of the things you should be thinking about before you begin your home remodeling project. Of course, if you can’t find the answer, or have a special circumstance that requires more information, we’ll be happy to help you over the phone or in person at our home remodeling showroom at 2125 N Rapids Rd in northwest Manitowoc. The Manitowoc Master Builders are always on call and ready to answer your questions. Contact Sonnenburg Builders today for a free quote on your home repair or remodeling project! Do you clean-up when the job is complete? Absolutely. Even if we are not complete with the job our team of contractors will tidy up until we return for work. When our job is complete, there will be no trace of construction, guaranteed. Can we live in our home while you remodel? Typically yes however the scope of the project will determine the length of time for completion. If we are gutting and remodeling your only bathroom, it may be necessary to stay with relatives or at a hotel until completed. As we have completed jobs in under one day, a job that requires a demolition may take several days. We know the stress and inconvenience a non-functioning bathroom or kitchen can have and this is why Sonnenburg Builders strives to work efficiently as possible while still maintaining high quality craftsmanship. Contact us via telephone or through our online contact form to discuss your home remodeling needs and ideas. From there a free cost estimate will be given. Once a contract has been agreed upon, we can schedule a start date. What type of handyman repairs do you do? Sonnenburg’s team of experts are capable of handling almost any residential repair big or small. 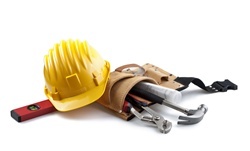 If you own a rental property or apartment building, we can handle all your repair needs too. From a single window replacement to a new toilet installation, trust Sonnenburg to get the job done right and when you need it. Yes we offer free quotes. Please call us at 920-684-3399 or contact us online via our home remodeling contact form and a Sonnenburg Builders team member will be in touch to go over your remodeling needs. Depending on your type of service needed, we may need to schedule an onsite visit in order to provide an accurate estimate. How much will remodeling my bathroom cost? The cost to remodel a bathroom can vary widely from job to job. It really does depend on what you want, what your home needs and what you can afford. Sonnenburg Builders will work with you to find the appropriate budget for your project based on those factors. We recommend you be as detailed as possible when planning any bathroom, kitchen or home remodeling or renovation. For an idea on the range of materials cost, visit our showroom at 2125 N Rapids Rd in Manitowoc. Overruns can happen for a variety of reasons, but you can improve cost certainty by picking out all of your materials in advance. Will you help me design my kitchen? We certainly will! We will be there for you at every step of the kitchen remodeling process, from design to finish. We have many door and wood styles on display at our showroom, located at 2125 N Rapids Rd in Manitowoc. We feature several options for kitchen countertops from leading brands like Meganite and Ceaserstone, including granite, quartz, solid surface, laminates and more. The most important aspect of any remodel is planning in advance. We’ll work with you to develop a detailed plan, including contingencies for any problems we may find along the way. The better the plan, the better and more predictable the outcome. Is a walk-in shower the right choice? Many people wrestle with this question when going from a shower/tub combo to just a walk-in shower with no tub. Their main concern is how going from a full bath to a 3/4 bath will affect resale value. The answer to this question depends on a couple different factors. If you’re planning to stay in your home for more than five years and could count on one hand how many times you’ve used the bathtub vs. taking a shower, then you should remodel your bathroom to fit your lifestyle, not for an unknown future buyer. It’s too difficult to predict trends in the housing market, and certainly impossible to guess what specific future buyers will want. If you’re planning to stay in your home for the long term, you shouldn’t limit your plans based on uncertain future market trends. If you’re remodeling to help facilitate a sale or to flip an investment property, you should make sure there is at least one bathtub available in the home, even if it is not in the master bath. Safety is the number one reason to install a walk-in shower for seniors or someone who is disabled. A walk-in shower allows seniors and the disabled to maintain their independence and privacy while aging in place in the comfort of home. Finally, remodeling a bathroom to include accessible features is much less expensive, and far less stressful, than moving into an assisted living facility or nursing home. Do I have to keep a bathtub in my home to maintain resale value? Unless you are remodeling to facilitate a quick sale or to flip an investment property, the most important thing to consider is how you, not a potential future buyer, will use your bathroom. It’s difficult enough to predict the housing market. It’s impossible to predict what specific features a future buyer will value most. When you eventually sell your home, it is very likely the homeowners will remodel the bathroom to suit their tastes, anyhow. Especially when you are adding accessibility features for seniors and the disabled, safety is paramount. If those safety plans don’t include a bathtub, don’t add one. Does Sonnenburg Builders build new homes? We are Manitowoc County’s Master Builder for new home construction, additions and remodeling. We are a custom home builder, meaning we’ll build to suit your designs, not stick you into a mass-produced floor plan. If you want a new room or an extra floor added to your existing home, we also do custom home additions and remodeling for any room, including attic and basement finishing. We have also been involved in design and construction of condominiums specifically tailored to help seniors age in place. These buildings are constructed step-free and feature large walk-in showers. Many of these special design elements can be implemented into your new home construction or remodeling project. You can pre-plan every detail of your brand new custom-built home or addition at our home design showroom, located at 2125 N Rapids Rd, south of Menasha Ave in northwest Manitowoc. Sonnenburg Builders is a full-service home remodeler, and that means we do the windows, too. Come to our showroom at 2125 N Rapids Rd, south of Menasha Ave, in Manitowoc to see our full line of brand name windows, including Vista and Wisconsin’s own Kolbe & Kolbe. We also carry patio doors, steel entry and storm doors. One of the easiest ways to cut your utility bills down to size is by installing energy-efficient windows and doors, and having your existing entryways inspected and sealed against drafts.